However, in the twenty-first century, much debate has arisen between those who live by these rights and those who wish to abolish them. Advocates of gun control come in many flavors, ranging from those who strive to redefine what was originally intended by these words, to those whose goal it is to categorically disarm the American populace. The most common rallying cry involves allusion to high-profile acts of violence involving firearms. It is argued that certain types of weapons are more inherently “dangerous” than others, and thus should be banned or regulated by the Federal Government. This gun control lobby is remiss to mention several key talking points due to the fact that they would systematically discredit their narrative. Among them, cities like Chicago that have some of the more stringent gun control laws in the country still have a violent crime rate far above the national average. The carnage wrought upon this country on 9-11 was facilitated by the use of box-cutters and a radical ideology, not firearms. Even vehicles have been used to kill and injure innocents in large numbers. If the evil intent is there, the means will always be found to bring these twisted plans to fruition. Furthermore, some of the most ruthless atrocities conducted by governments upon their own people were enabled by first ensuring their populations were disarmed, thus nullifying the capacity to resist – Joseph Stalin, Mao Zedong, Saddam Hussein, the list goes on and on… Our Second Amendment ensures that we ourselves will never suffer such oppressions, be they internal or external. If you wish to buy, sell or pawn firearms, visit us at Metro Pawn & Gun in Minneapolis. 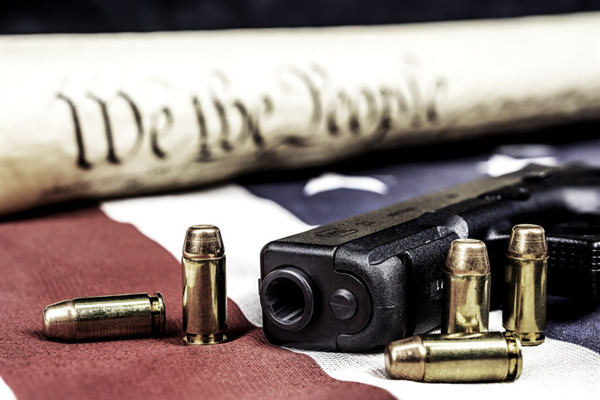 Our knowledgeable staff, awesome selection, great customer service and belief in the right of law abiding people to bear arms makes us the go-to destination for firearms! We can even provide referral for a Concealed Carry Permit course if that is something you are interested in doing, so don’t delay – stop in and see us today! « Why Buy your Electronics at a Pawn Shop? The Right Rifle for Big Game Hunting - Where to Find it?